The Tigard High School boys basketball team battled hard all season long. The Tigers kept battling in the state playoffs, but it wasn't quite enough to get the Tigers a win. 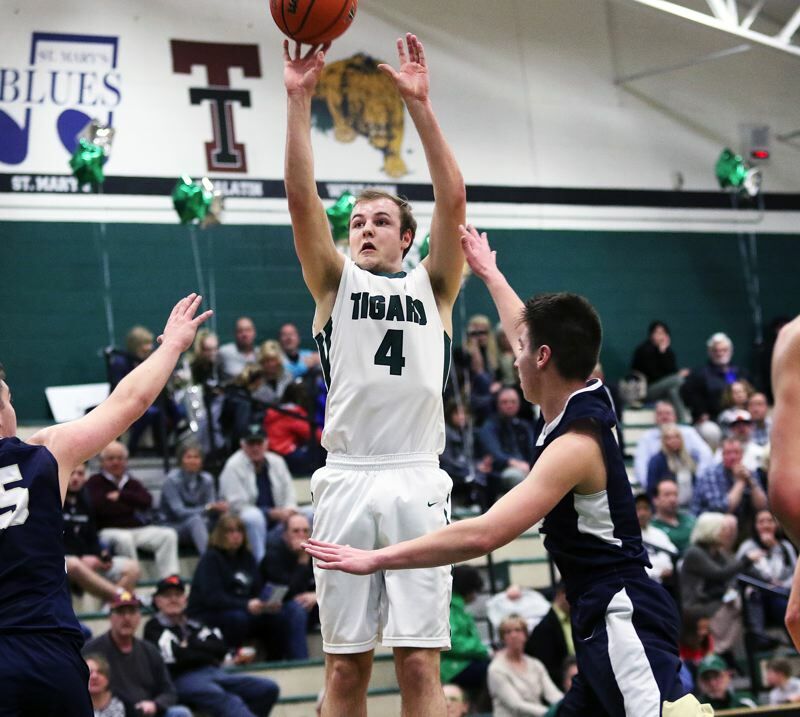 Tigard saw its season come to a close with a 61-58 loss to McMinnville in a Class 6A state playoff first-round game played Feb. 28 at McMinnville HighSchool. "The game was tight the whole way," Tigard coach Shawn Alderman said. "It was two teams really competing, which is exactly what you want I a playoff game. It was a great atmosphere, and our kids really played their hearts out." With the win, McMinnville, the No. 5 team out of the Greater Valley Conference, and the No. 15 in the final OSAA power rankings, improved to 18-8 on the season to that point. Tigard, the No. 3 team out of the Three Rivers League, and the No. 18 team in the power rankings, finished its season at 13-11. "We had a good season," Alderman said. "As tough as it is to have our season come to an end, I'm sure we'll look back at it with pride in a week, or so." Junior wing Stevie Schlabach paced the Tigers in last week's playoff game with 22 points. Senior post Austin Dufort added 11 points. Junior Luke Ness and freshman Drew Carter each had seven, and junior Jazz Ross scored six. McMinnville's Aaron Baune led all scorers with 34 points. The Tigers were also plagued with foul trouble in the contest, with McMinnville shooting 34 free throws, compared to Tigard's 10 attempts from the line. The playoff loss marked the final high school game for Tigard seniors Dufort, Jake Leavitt and Kellen Horn. "We will miss our seniors, but have a bunch of returners, so we're looking forward to things to come," Alderman said.